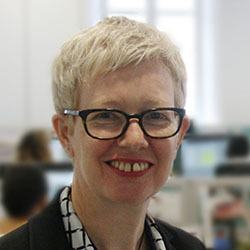 ‘It’s about constantly improving care and valuing what you do as a professional,’ says the Nursing and Midwifery Council’s (NMC) director of registration and revalidation, Emma Broadbent. Done well, reflection can also make a difference to your own practice, improving patient care, through a commitment to lifelong learning. ‘It helps you practise in an informed and engaged way that is always evolving,’ says Ms Finch. What are the implications for revalidation? As part of revalidation, registrants are required to write five reflective accounts in the three-year period before they renew their registration. An example of professional development. A piece of practice-related feedback. An event or experience in registrant’s own professional practice. Or any combination of these. In addition, registrants must have a face-to-face reflective discussion with another NMC registrant, based on these five reflective accounts. Written reflective accounts form the basis of reflective discussions for revalidation. What forms can reflection take? Reflections may involve your manager, colleagues or other staff. They can be one-to-one conversations or group discussions, or you can reflect alone. They may be written, spoken or even illustrated through word clouds or diagrams, or may be unrecorded. The starting point can be something that happened in your practice, a response to a professional development activity, or feedback you have received. Reflection may be ‘in action’, meaning it is undertaken while you’re carrying out the activity. This may be when something is new, different, or it triggers intense feelings or anxiety. Reflection ‘on action’ is thinking about what happened after the event, and learning from that experience so practice improves. I don’t feel I’m instinctively good at reflecting – what can you suggest to help me? What? What’s your role and that of others involved? What happened? What were the problems? =And what did you do? So what? What was the outcome, what was learned and what is important? Now what? What do you need to do now? What are the consequences? How can you resolve the situation or improve things? And how will what you learned change your practice? Other frameworks include Gibb’s cycle and Johns’ model (see box). Seek help from the network of people around you, asking your employers and colleagues for tips, suggests Ms Broadbent. ‘The people you work with are often able to say, have you thought about reflecting on that? When you may have forgotten it or not considered it yourself,’ she says. Should I reflect on what goes well, badly or both? Both are important in different ways, says Ms Coverdale. ‘But you can learn even more when something has gone wrong or is a negative experience,’ she says. says the NMC’s Emma Broadbent. ‘It gives you the opportunity to think through something from another perspective, allowing you to think about whether you’re being too sensitive, not enlightened or may do something differently in the future. ‘It can shine a spotlight on you, raising awareness of your own actions and behaviours and how they might make others feel.’ Formulating an action plan can help you address any deficits in your learning. Not giving yourself enough time is a key issue, says Ms Broadbent. ‘And if you don’t make the most of the opportunity to talk to others and have a richer conversation, it won’t be as valuable an exercise for you as it could be,’ she says. 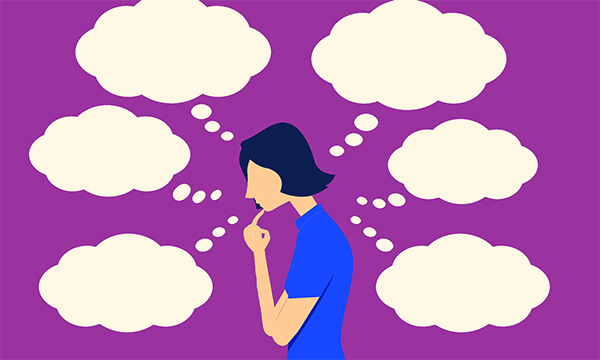 I’ve been asked to be someone’s reflective discussion partner – any advice? The NMC provides detailed guidance on how to have reflective discussions, including the role of partners. To be a reflective discussion partner, you must have valid NMC registration and should make sure you’re familiar with all of the revalidation requirements before the discussion takes place. As this is also an opportunity to gain a greater understanding of the Code, it’s helpful if you both bring copies to the discussion, the NMC advises. What effect did this have on you? How might you change your practice as a result? As a discussion partner, you can offer a different perspective on an event of piece of feedback. You may help a registrant reach a conclusion or develop an action plan. Remember that information should be recorded in such a way that no patient, colleague or other individuals can be identified. Employers can provide opportunities for reflective discussion in a group setting. What should employers and managers do to encourage and support reflective practice? ‘While reflection is a personal endeavour, it also requires support and facilitation from employers who believe in its value,’ says Ms Finch. On a day-to-day basis, she suggests managers adopt more of a coaching style in their one-to-one conversations, making sure they don’t simply discuss operational matters, but emphasise professional development too. Managers can also provide opportunities for reflection in a group context, with lunch clubs or debriefs in the round. 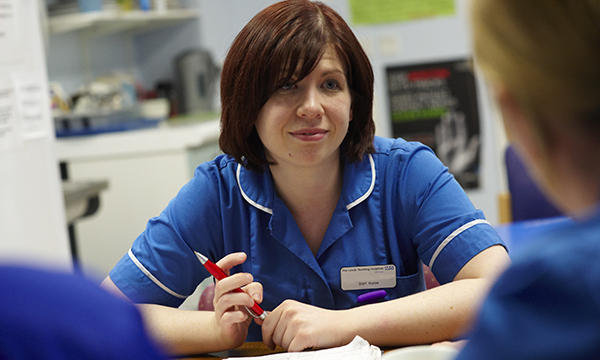 If you’re approaching revalidation, make sure your employer knows, says Ms Broadbent. ‘Talk to them, so they’re aware you need support and time for reflection, as this is a required part of your revalidation,’ she says. The RCN has brief guidance on reflection and reflective discussions. The NMC has a revalidation site that includes information on reflection, forms that must be used to record reflective accounts and discussions, guidance and examples. RCNi Portfolio is a toolkit for revalidation that allows you to complete and store your evidence online, track your progress against the NMC’s requirements, and access and complete interactive quizzes and CPD content.